Our premium air drying modelling clay is the perfect solution for artists and modellers featuring a non cracking finish without the need for baking. Supplied in a sealed foil packet this clay is ready to use, We would strongly recommend that you store the excess modelling clay is a air tight container to keep it moist for later use. 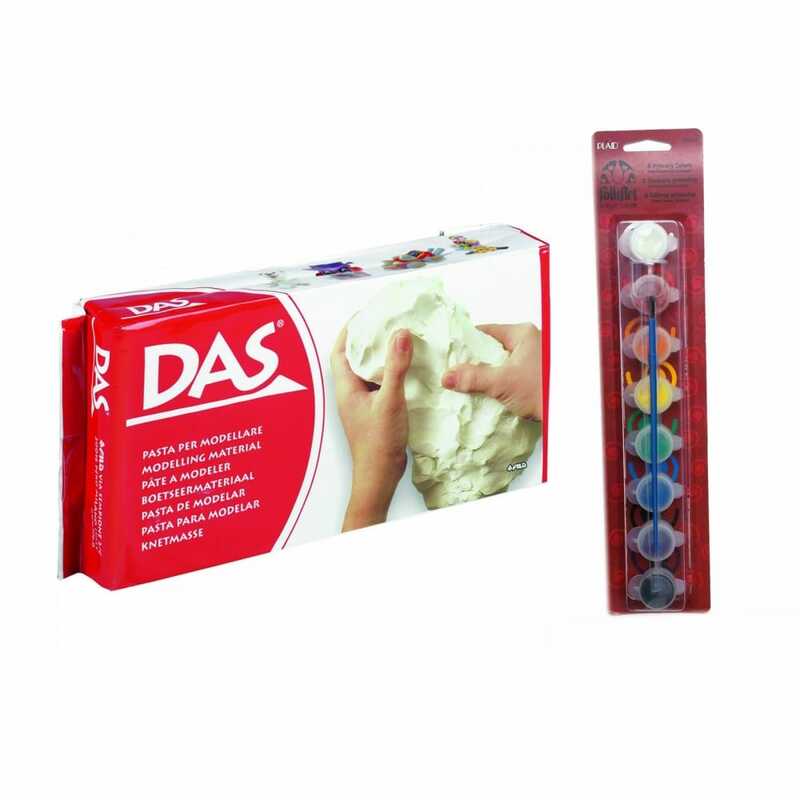 DAS Clay products are well known in schools and we recommend this product to be safe for children over 3 years old with supervision, This product is non toxic & gluten free. FolkArt Acrylic small set is ideal to keep in your caddies to take with you for all your crafting projects. Set includes eight popular primary colours - wicker white, lipstick red, pure orange, lemon custard, kelly green, true blue, purple and licorice. A bit about the brand: Packed and sealed in foil, this moist modelling clay is ready to use and air dries to a hard durable matt finish without need-for firing. May be finished with Acrylic or Goldfinger paints. DAS Also produce a great range of modelling tools.